This post is in collaboration with Macy’s and Tommy Hilfiger. All opinions are my own. Happy Wednesday y’all! 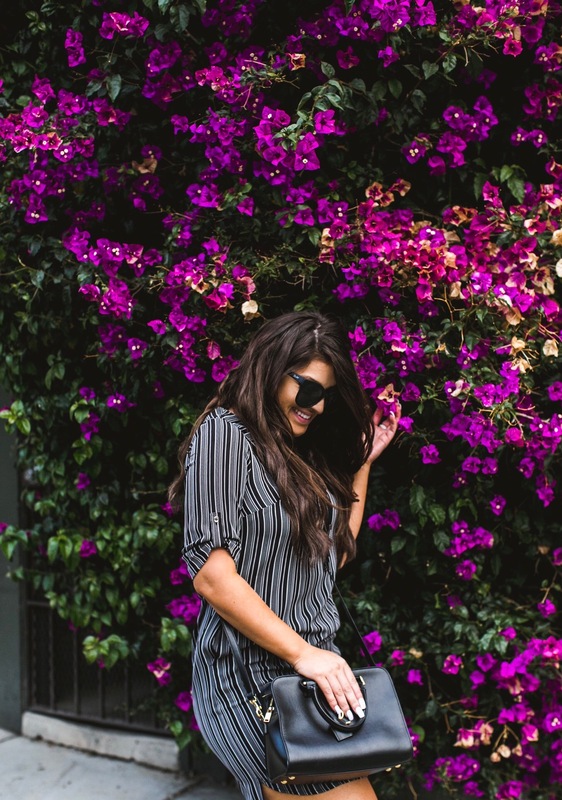 If you’ve already seen my latest IG post with this beautiful bougainvillea, then you know that I’ve been DYING to take a picture in front of one for the LONGEST time! And well… I finally did it! With my time here in the Bay Area soon coming to an end, it occurred to me that I should do EVERYTHING I’ve wanted to do but never had the time to! …OR at least do all the things I love just one last time! I mean, I only have a few more days in this beautiful place I’ve called home for so long! So I thought I’d do a round up of a few of my favorite spots! But first, I obviously needed a cute summer look to go with my adventures! And since Philly is unfortunately filled with gloomy skies, rain and sometimes even lightning and thunder, I thought it was definitely necessary to style a summer look one last time! It not only needed to be cute and summery though, it also had to be comfy since I would be walking around everywhere!! So naturally, I made my way over to Macy’s and went straight to their Tommy Hilfiger section! You guys know I love that section! I just recently posted about it and you can read all about it here! But anyways, I ended up finding this super cute striped dress that can be dressed up or dressed down! 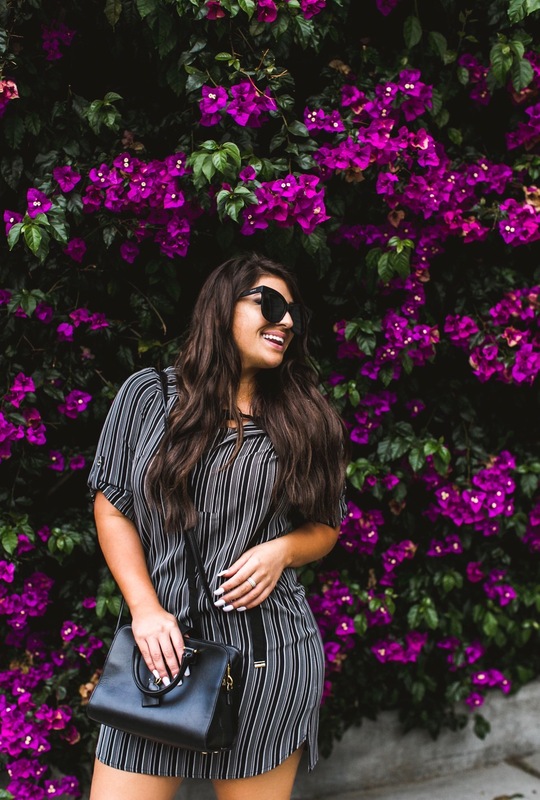 I paired it with a pair of white tennis shoes, these black sunnies, and a black crossbody! It’s a great transition piece because you can be more casual during the day, then throw on some black heels at night! It’s also long enough in the back and is super lightweight so you don’t get hot! But of course, you never know what the weather will be like in SF, so it’s also perfect because it has sleeves in case it gets a little chilly. It’s seriously perfect for exploring the city and I can’t wait to show you guys how I style it next! So there you have it! That’s my SF checklist! If you guys have any hidden gems that YOU love, please send them my way!!! I’d love to maximize my last week here in the Bay and I know there are a million more places in SF just waiting to be explored! The ones on my list are just a few of my favorite places that I want to visit one more time before I leave my sweet, sweet California! .. Plus a few places I have still yet to go to. 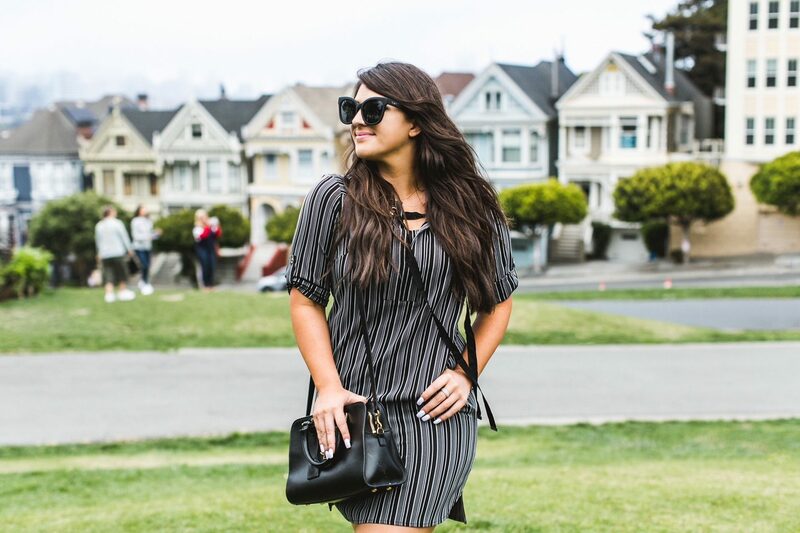 Because not only can you explore the city and all it has to offer, you can look good doing it too! Just head over to the Tommy Hilfiger section on Macy’s website! Their Sportswear is comfy, cute and perfect for a day of exploring! Thank you for sharing. This checklist will come in handy in an upcoming trip I have planned. Great list. I will definitely check out some of these sites the when I am in San Fran! Love San Fran! Haven’t been in a while since my son lives in LA. Another great place to visit! Nice to meet you, Bianca! Ah I love LA! Must be nice to be able to visit your son down there! 🙂 Thanks for reading and nice to e-meet you too Susie!! Aw you’re so sweet! Thank you Silvia!